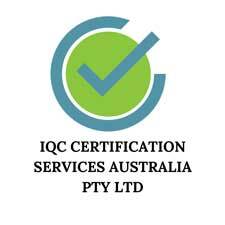 IQC firstly gather information about the applicant’s organisation through information for certification that the client provides us with (CIC). We require details from the applicant such as scope of certification desired, man power of business, your statutory and regulatory requirements, plus exclusions, processes and product information to help us to certify your processes. Your submitted CIC will be reviewed, checked for adequate detail of information in submitting certification service proposal and provisions. IQC will consider the ability and competency to perform a certification when considering the scope of accreditation. IQC will then submit the certification services proposal for an initial assessment, including two surveillance audits for a three-year period, along with conditions and certification agreement. We then submit a commercial proposal providing you information on the number of audits and man-days required for each stage of the audit process and the required professional charges. Upon the acceptance of our terms and conditions as outlined in the client proposal conditions, you then are permitted to sign into our certification agreement, one copy for each party. An initial certification assessment is then conducted to evaluate the implemented management system and issue a certificate of compliance. Initial assessment is conducted in two stages as per the requirement of ISO 17021. Upon signing the certification agreement, you can then indicate preference for the date of the Stage I Audit. IQC will then confirm the Stage I Audit. Stage I is conducted to evaluate site specific conditions, focusing on planning the Management System and planning for the Stage II Audit, reviewing the system to evaluate the adequacy of the document to the applicable standard, allocating resources for the Stage II Audit, understanding the scope and applicable statutory requirements, product standards and processes and evaluating the client’s understanding of the applicable standard and aspect-impact study for EMS, conducting a hazard-risk analysis for OHSAS and a hazard-risk analysis and HACCP study on plans for FSMS. The assessment report shall be provided to client along with any audit observations. The client is responsible for planning and implementing any required corrective actions following audit observations along with revisions to system documents. The client must communicate the corrective actions to IQC prior to the Stage II assessment. The outputs from the Stage I assessment and nature of such observations may have an impact on the Stage II assessment schedule. Inadequate and ineffective corrective actions following the Stage I assessment may lead to major non-conformances in the Stage II assessment. Inform the audit team nominated and outline the audit programme in advance. 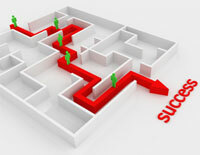 Conduct an opening meeting to explain audit methodology. Verify effective implementation of the management system for adequacy to the scope of certification by examining personnel, policies, procedures and records as per the contractual standard. Ensure the Stage II Audit is carried our as per the checklist. Record non-conformance and classify observations as Major or Minor. Conduct a closing meeting and explain audit findings, recommendations and revisions required as outlined in the scope of certifications. Provide a copy of the audit report with recommendations. Review the suitability of surveillance frequency and/or man-days based on the audit findings. Review corrective actions provided by the client for all the non-conformance reports via a follow up audit or documentation verification. Review of audit reports by IQC certification decision committee. Impartiality shall be maintained during such review. Resolutions of clarifications in the audit reports if any prior to approval of recommendations. Issue certificate of compliance valid for 3 years from the date of approval by certification decision committee. Conduct a surveillance audit at an agreed upon frequency to verify continued implementation of the Management System as per the proposal. Verify the effectiveness of continuous implementation of the Management System and planned processes during each surveillance audit ensuring all processes are covered at least once during each certification cycle. Conduct a follow-up audit, if required. Verify use of quality mark and accreditation mark as per the IQC instructions. Provide recommendations on the continuation of certification as per the audit report provided at the conclusion of each surveillance audit. Conduct a re-certification audit prior to the expiring certification period for a valid certificate of compliance and follow up surveillance audits as per the accepted proposal. The re-certification audit must be completed before the validity of the previous certificate issued expires.